3 Princes offers guests the perfect location from which to explore the historical and cultural attractions of Norwich. Elm Hill is literally on the doorstep and both the Cathedral and Castle, as well as the medieval Dragon and Strangers' Halls are within easy walking distance. 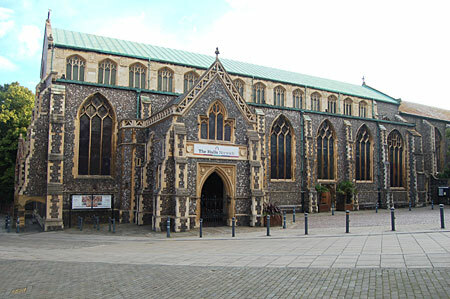 There are museums (the Castle Museum and Bridewell Museum) and galleries (especially the Sainsbury Centre) to inspire and inform you, while the theatres (Theatre Royal, Maddermarket and the Playhouse), cinemas (Cinema City) and live music venues are guaranteed to provide rich and varied entertainment throughout the year. Norwich offers a vibrant shopping experience with many independent boutiques as well as the major retailers. Cafes, restaurants, bars and pubs offer a wide variety of cuisines and culinary delights.